Located at the base of the Fernie ski resort, the Griz Inn is your family's first choice for affordable, full-service ski accommodation in Fernie, BC. With the ski-in, ski-out access you can just hop on your skis at the front door and you're on your way to the ski lifts. 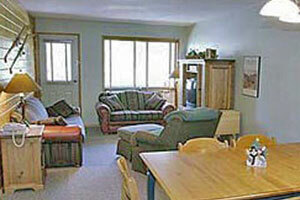 The Griz Inn offers ski accommodations as large as 3-bedrooms with a loft. Please note that these larger popular units book up early. Contact us for more information or to make the Griz Inn part of your Fernie ski holiday.